The St. Petersburg Times took a survey and found everything was fantastic. It's the "Greatest Season in City's History," declared a headline the next day. Could it possibly get any better? "Substantial increases in all branches of business, a greater permanent and tourist population, sound banking conditions and heavy reductions in the cost of food and housing are authentic indications that St. Petersburg is enjoying its greatest and most prosperous tourist season," the story said. The tourist population was 125,000 compared to 80,000 permanent residents. Also noted were increases in school registration, long distance phone calls, gas meters in service, water meters in service, motor club registration, lower cost of rents on houses and apartments, low rainfall in January and an average January temperature of 63.2 degrees. The tourist season brought 70,000 to the city's hotels and "many are turning away guests," the story said. A statement by Mayor R.S. Pearce lauded "a healthy increase in the number and character of our winter visitors, by good business conditions and an unrivaled spirit of progressiveness." Banks are in "a splendid condition" as is a new million dollar municipal recreation pier that "stands as a monument to the visitors and is a token of the regard of the city for its winter residents." And if that's not exuberant enough, a writer named Aloysus Coll chimes in with a rapturous and lyrical essay vividly describing the sights and sounds of the city's sweet success. The writing is way over the top, but its full-flowered prose is undeniably entertaining and cinematic. "Yachts--from Michigan, from New York, Boston--argosies that ride the blue waters lapping the doorsteps of St. Petersburg. Venice from the 48 states! Venice with the glow of the Lida and the soul of America! Balm in the breeze, breeze on the flag, the guest of yonder city on the deck and supper in the stateroom. The spirit of St. Petersburg on the wings of the water; the guest of the city on the wings of her joy!" It's impossible today to imagine a daily newspaper, or any of our media for that matter, basking in such wide-eyed optimism. And in retrospect, we can smile at the naivety of these accounts. The reporters and editors of the St. Petersburg Times had no idea of the horrors just around the corner -- the stock market crash of 1929 and the Great Depression that followed; and the grueling years of World War II when defense requirements supplanted Florida's tourism economy. In Miami Beach, Cassius Clay defeated Sonny Liston on a technical knockout that introduced Clay -- who later changed his name to Muhammad Ali -- to the world. 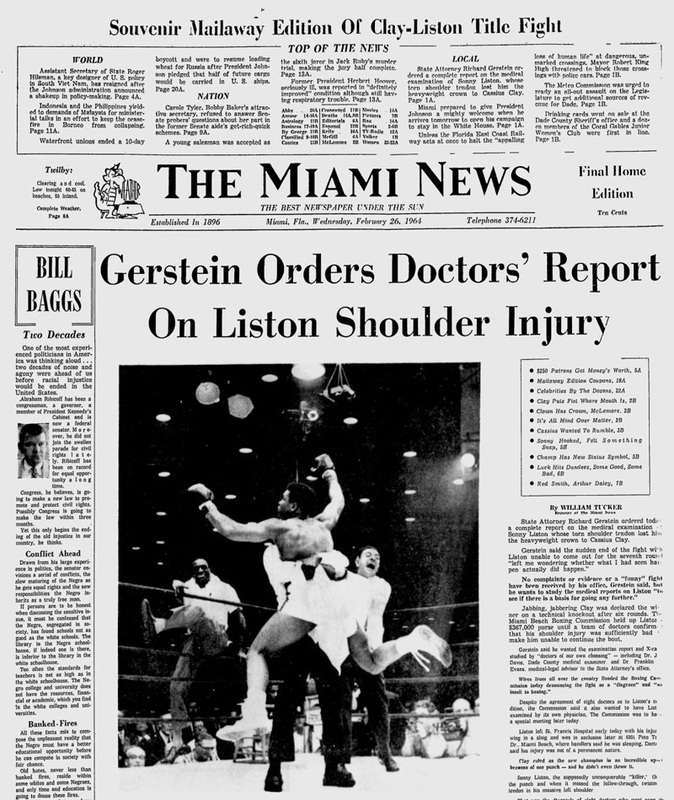 But suspicions were immediately raised that the fight was fixed when Liston failed to come out for the seventh round and State Attorney Richard Gerstein asked for a medical report to determine whether Liston actually tore his shoulder tendon. "Wires from all over the country flooded the (Miami) Boxing Commission today denouncing the fight as a 'disgrace' and 'an insult to boxing,'" the Miami News reported the next day. Liston, who was supposedly unbeatable, seemed to beat himself when he threw a punch and missed, twisting the tendon. After the fight, Clay danced in the center of the ring, proclaiming to ringside reporters, "I'm king of the world! I'm king of the world!" But even the FBI was suspicious about the outcome and ordered an investigation into whether the fight was fixed by an Las Vegas figure tied to Liston and organized crime, according to a Washington Times story this month based on records the paper obtained under the Freedom of Information Act. In an address to the Anti-Saloon League of America, a leading opponent of the drive to repeal Prohibition warned that the Democratic Party was "doomed to disruption" if it nominates a "wet" as president for the 1932 election. Jesse W. Nicholoson, president of the National Woman's Democratic Law Enforcement League, said in St. Petersburg that her organization could not support any of the five party candidates, including Gov. Franklin D. Roosevelt of New York. "I am here to issue a warning to Democratic Party leaders that women will not surrender to a nullificationist," she said. Nicholoson opposed Roosevelt after he was nominated as the party's candidate for president that year and was one of the only critics who raised his paralysis as an issue, calling him "unfit physically" for the office. Prohibition, the law that banned sale, manufacture, importation and transportation of alcoholic beverages nationwide, was enacted in 1920 but spawned a vast black market and an epidemic of criminal gang violence in the 1920s. 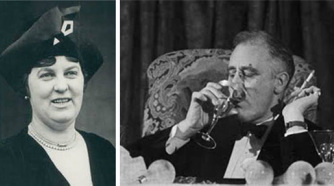 Roosevelt supported repeal during his 1932 campaign and signed a bill allowing sale of 3.2 percent beer the following March, shortly after he became president. Repeal of Prohibition was fully ratified on December 5, 1933 after approval by 38 states. Florida was the 31st state to reject Prohibition, voting on Nov. 14. Read the story in the Palm Beach Post: Democrats Warned Not to Name "Wet"
Feb. 22, 1819: Treaty with Spain makes the Floridas part of the U.S.
From Florida Historical Society: Secretary Of State John Quincy Adams and Spanish minister Luis de Onís signed the Adams-Onís Treaty, also known as the Transcontinental Treaty, ceding the Floridas to the United States on this date. 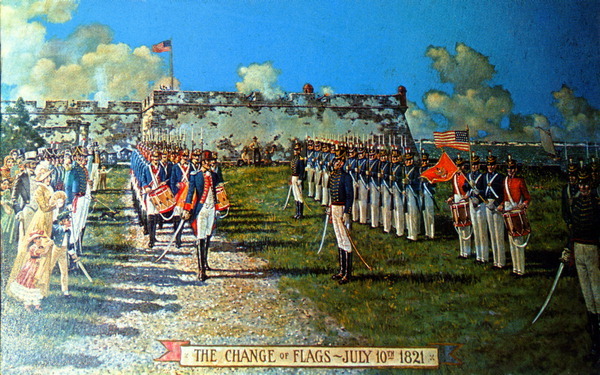 After the American Revolution, Spain received the Florida colonies back from Britain and almost immediately, tension along the border with the newly independent United States of America began. 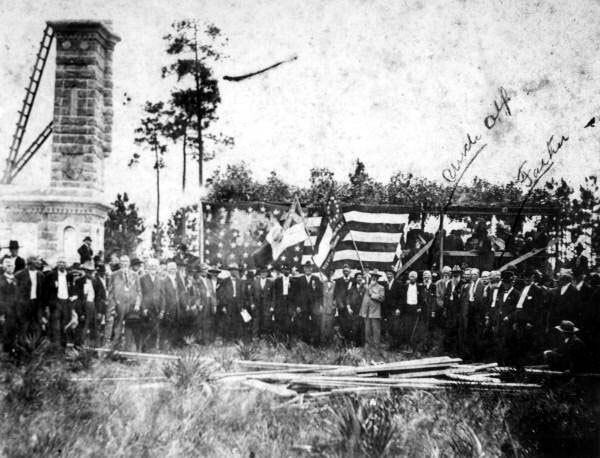 The Confederate Army won the largest Civil War battle fought in Florida and thus retained control of interior Florida in the Battle of Olustee near Lake City. After landing in Jacksonville earlier in February, Union Gen. Truman Seymour moved his troops toward Lake City to destroy a railroad bridge and secure the northern part of the state. They were met at Ocean Pond by Confederate Gen. Joseph Finegan, and with about 5,000 men on each side, an intense battle ensued. Seymour began to retreat by late afternoon after realizing his side had lost. Three regiments of African American troops fought on the Union side and suffered heavy casualties. The Union side suffered about 1,800 casualties, including 203 killed and 506 missing. The Confederacy lost 93 men, 850 were wounded and 6 went missing. Most of Florida remained in Confederate hands through the end of the war. The battle is commemorated each year with a historical reenactment at the site, Olustee Battlefield Historic State Park, and by a separate event, the Olustee Battle Festival, in Lake City. Thousands of screaming fans surrounded the Deauville Hotel in Miami Beach and went home without creating a riot after they failed to get seats for the Beatles' performance on the Ed Sullivan Show. The broadcast happened a week after the Fab Four's landmark first appearance on the Sullivan show in New York City. The fans waited in a line that snaked several blocks up Collins Avenue to the lobby of the hotel, and all had apparently legitimate tickets to the performance, the Miami News reported. Inexplicably, about 200 of the 4,100 available seats for the show were empty when the show went on, the story said. Tickets that had been issued free by CBS and the hotel were being scalped for up to $15. A "similarly hysterical audience" of 4,000 enjoyed a rehearsal performance by the band earlier in the day. During the show, typical fans "stood transfixed and incredulous as (the band) belted their guitars and vigorously waggled their mops of hair," the paper reported. The Beatles arrived in Miami on Feb. 13, and 100 police were dispatched to Miami International Airport to keep the throngs off the taxi and ramp area. Still, the band was "nearly squashed" when scores of teens broke through the lines and rushed limousines waiting to whisk the band away. They enjoyed some vacation time, hitting the Peppermint House of Twist and the Wreck Bar at the Castaways soon after their arrival. It was a happy page in an otherwise grim chapter of Florida railroad history. During the opening months of what turned into a 14-year strike by Florida East Coast Railway workers, saboteurs caused several huge train wrecks by laying explosives under tracks of oncoming trains. But one such wreck was prevented on the evening of Feb. 12, when five boys walking along the tracks north of Mims in northern Brevard County came across a battery connected by wires to 45 sticks of dynamite buried beneath the tracks. As they heard the whistle of an oncoming train, they pulled the wires from the dynamite caps, preventing the explosion and saving the train's crew from certain death. The boys, who were returning home after an afternoon of fishing, were not immediately identified by FBI agents investigating the incident. The dynamite was discovered just three days after several blasts derailed 33 cars of a 93-car train in metropolitan Miami, only yards from U.S. 1. A second train was blown up that same day about 15 miles from where President Lyndon Johnson was attending a groundbreaking ceremony near Palatka. Four months earlier, a deliberately loosened rail sent four locomotives and 52 cars off the tracks just south of New Smyrna Beach. Two days after the youths thwarted the dynamite attack, a tank car on another train exploded near New Smyrna Beach, derailing 10 cars. A few weeks later, four former railway workers -- all members or supporters of the striking unions -- were charged and eventually convicted of attempting to blow up a freight train with dynamite. Read the story in the Daytona Beach Morning Journal: 45 Dynamite Sticks Found on Railroad • Read more about the railway strike in excerpt from the book "From Speedway to Sunshine: The Story of the Florida East Coast Railway"
The Royal Poinciana Hotel established Palm Beach as the East Coast's winter playground for the rich. It was built by Henry Flagler, the oil tycoon who brought Florida into the modern age by laying his Florida East Coast Railway south to Key West. Flagler built a spur line across Lake Worth from West Palm Beach so hotel guests could arrive at the front door in their own private rail cars. 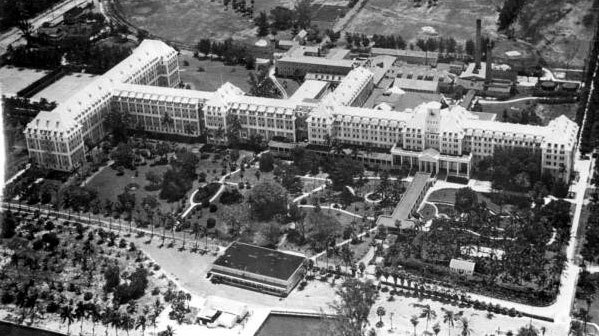 At its largest, the six-story Colonial-style hotel extended seven blocks and accommodated 1,200 guests. 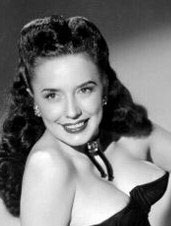 When they weren't out in their yachts, guests played golf, tennis and canasta during the day, enjoyed afternoon dancing in the Cocoanut Grove tea garden, then ate in the huge dining room. After Flagler opened The Palm Beach Inn in 1896, employees would shuttle patrons between the two hotels in wheeled chairs. In those days, the social season ran from mid-December to Feb. 23, the day after Flagler held his annual George Washington Ball at his mansion, The Whitehall. But rich people started to tire of the big resort scene by the 1920s and gravitated toward smaller, more private luxury inns and newer European-style hotels being built on the island. The Great Depression took its toll on business in the 1930s, and the hotel was closed in 1934 and torn down in 1935. 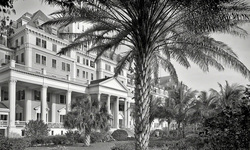 Flagler's Palm Beach Inn was renamed The Breakers in 1901 and remains open as a high-class resort today. Read the story in the Palm Beach Post: Flagler's Royal Poinciana Hotel set guiding standard in its day. The Southern Sugar Company announced plans to build six of the world's largest sugar mills in the the heart of the Everglades within six years, according to the Associated Press. Speaking at a banquet of the Associated Industries of Florida, John L. Doggett, attorney for the company, said the six mills would employ 25,000 men and produce 500,000 tons of sugar a year. What the story didn't report was that Southern Sugar was already in financial trouble as the Great Depression was taking hold. Four months later, in June, the company would be in court facing bankruptcy charges, with Doggett admitting the company could not pay its 2,500 employees until it was allowed to borrow money through sale of receiver's certificates. 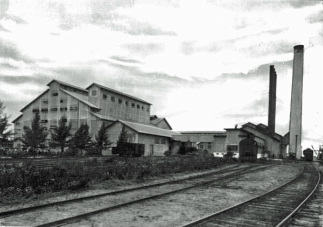 The company, with just one mill in Clewiston, was acquired the next year by Flint, Mich., industrialist Charles Stewart Mott and transformed into the United States Sugar Company, which is the nation's largest sugar producer today. The vision of six or more sugar mills in the Everglades didn't take hold until after the Cuban Revolution, when the U.S. government banned importation of Cuban sugar and subsidized sugar production domestically. By 1988-89, seven mills in the Everglades were producing more than 1.5 million tons of sugar a year. 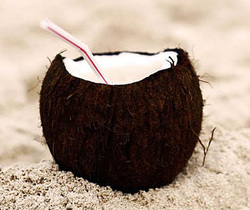 Today, sugar cane is grown on 450,000 acres in the Everglades, mostly around the southern half of Lake Okeechobee. The industry is closely monitored by the federal government and environmental groups and is under regulation to reduce the amount of phosphorus produced by fertilizers used in the cane fields. The industry is also forced to balance its interests against long-term efforts to restore the natural southward flow of water through the Everglades, as much of the water flow problems were caused by decades of irrigation, dredging and canal-building by the industry. Everglades restoration programs costing billions of dollars have been underway for the past two decades, always involving sticky negotiations with the largest sugar producers. Feb. 9, 1895: Florida wakes up to devastation of "Great Freeze"
Citrus farmers in Florida woke up to widespread crop destruction following the second of two deep freezes. 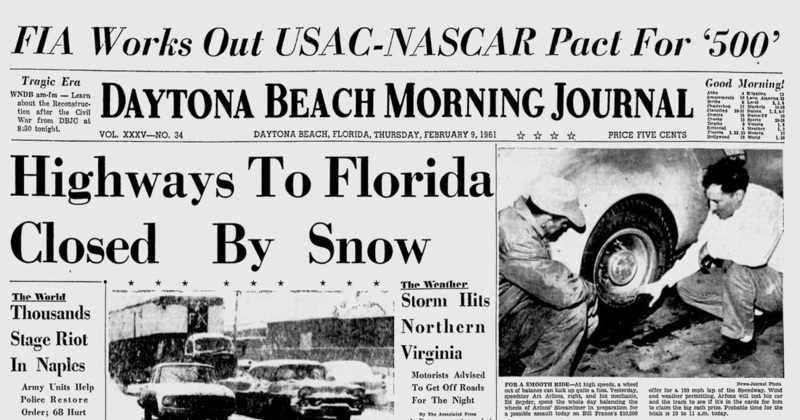 The first happened in late December 1894 when temperatures plummeted as low as 18 degrees in Orlando and 27 in West Palm Beach. That freeze did not destroy most trees and was followed by an unusually warm spell that produced tender new vegetation prior to the February event and left them especially vulnerable. After the February freeze, all citrus varieties froze on the trees, and bark split from top to bottom. Citrus production in Florida dropped from six million boxes a year to less than 100,000. Many farmers left their lands and relocated to frost-proof areas south, west to California, or moved back north. Land values in citrus-producing areas fell from $1,000 to $10 an acre. Citrus production in Florida didn't reach a million boxes a year again until 1901. Architect Addison Mizner, whose signature Spanish- Mediterranean building designs came to define the Palm Beach and Boca Raton look, died at 61. Mizner's style is imitated throughout South Florida today and many of his buildings are on the National Register of Historic Places. 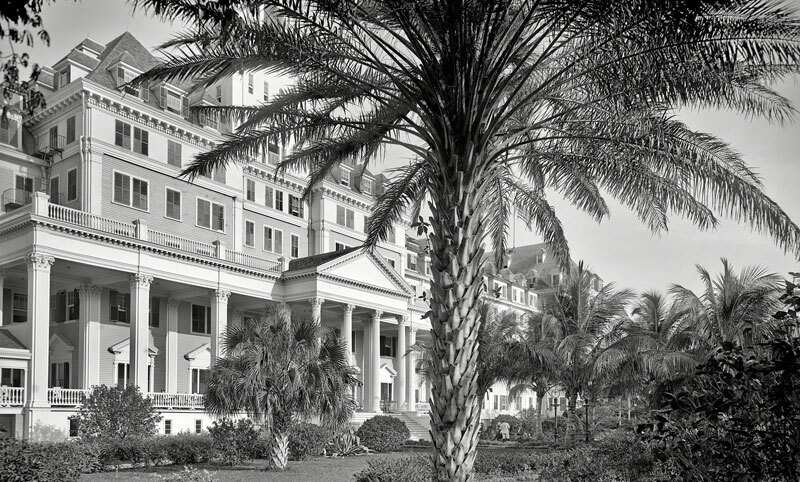 Although he had no formal training, Mizner was possibly the nation's best-known architect by the 1920s. He developed numerous South Florida mansions as well as The Ritz-Carlton Cloister Inn (now The Boca Raton Resort & Club), The Boynton Beach Woman's Club, and the Boca Raton Administration Buildings. While Florida resorts tended to rely on Northeastern wood-and-shingle designs in the early 20th century, Mizner designed oceanfront homes in a Mediterranean Revival style that found favor among wealthy residents. These houses were generally one-room deep to allow cross ventilation, kept kitchens off to the side to reduce heat, and were constructed of stone, tile and stucco to better withstand hurricanes. He also favored the barrel tile roofs common throughout the state to this day. Mizner was a colorful speaker and writer, and found unexpected success early in his career with a book he co-authored, The Cynic's Calendar of Revised Wisdom for 1903. That was followed by several sequels, and a year before his death, Mizner published an autobiography covering his early life and carrer, The Many Mizners. Twenty-one people lost their lives when three tornadoes rampaged across the state, ripping buildings off their foundations, picking up a semi-trailer and slamming it down on top of another, and obliterating mobile homes. The tornadoes struck between 3 a.m. and 4:30 a.m., while their victims slept and were less likely to hear any warnings. All of the fatalities occurred in mobile homes, with 19 of the deaths happening in Lake County. Around 500 homes were destroyed and hundreds more were damaged. States of emergency were declared in Lake, Seminole, Sumter and Volusia counties. From Florida Historical Society: The Bok Tower Gardens and Bird Sanctuary in Lake Wales was dedicated by President and Mrs. Calvin Coolidge on this date. The brainchild of Dutch immigrant, Edward W. Bok and his wife Mary Louis Curtis Bok who wintered in Florida, the complex features a 250 acre garden with thousands of different trees, shrubs and flowers designed by Fredrick Las Olmstead Jr. The centerpiece of the gardens however, is the 205 foot-tall stone Gothic Revival and Art Deco tower which houses a 60-bell carillon. Over the years the site has become a major tourist attraction bringing thousands of people to the Lake Wales area every year. Click here to visit the Bok Tower Gardens web site.